Trimax Systems did this project for George Bush Intercontinental Airport in Houston, Texas. This is the eighth-largest airport in the United States. At George Bush Intercontinental, 1.2 million gallons of jet fuel are pumped into planes every day. The Ignition project controls the entire fuel farm at the airport. The project was designed to acquire highly accurate SCADA information from the fuel farm and provide an HMI that is operator friendly. This allows the operator to easily identify and correct any issues that arise on the fuel storage and delivery system. Multiple problems existed on the project from the antiquated PLCs, the multimode fiber communications and an outdated HMI/SCADA system. Information was being lost, not stored in history, or not trended. Reports were external to the SCADA system, and the information was being put in manually. The HMI/SCADA was not redundant; if communications were lost or the server failed, the fuel farm operator would be blind to any critical events and data loss because of the failure. Trimax uses Ignition’s redundancy capabilities for the fuel farm HMI/SCADA system and redundant PLCs to ensure minimal downtime. Ignition allows the connection of not only the latest PLCs, but older ones as well. Ignition was used for the ease with which devices can be connected and for its third-party capabilities. The airport uses Kepware for the OPC server and the connection between Kepware and Ignition has worked flawlessly. Reports were designed to automatically input data and print the reports on a daily schedule. Using Ignition’s reporting capabilities, the manpower once used for manually inserting the data can now be used for more productive projects. Designing global templates and scripts in Ignition allows Trimax the ability to use the templates and scripts on other projects as well as standardizing the overall appearance of our projects. The cost of the complete Ignition system is less than other HMI/SCADA systems, giving Trimax a competitive edge over its competitors. The fuel farm and fuel delivery system were improved in many ways. The replacement of multimode fiber with single mode, the replacement of outdated PLCs, the use of the Ignition redundant system, automated reporting, and no data loss allows the customer to operate much more efficiently. Marty co-founded Trimax in 1983. As an electrical engineer, programmer, project manager, and sales executive, Marty has worked on thousands of projects during his 38-year career. He originated a unique simulation process that has impressed clients for years. 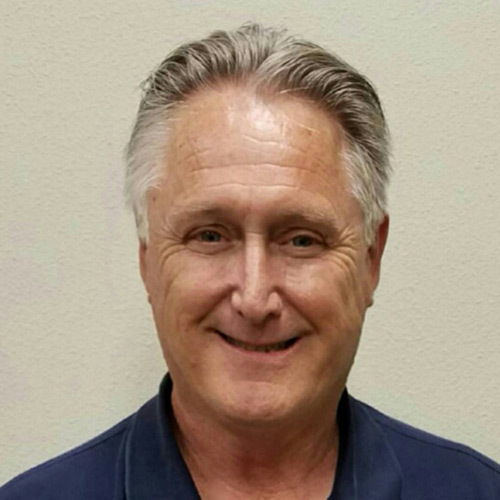 Marty is an expert in many industries, and has strong knowledge of numerous PLC models, HMI products, and much more. Trimax was established in 1983. The goal then and today remains the same: designing custom control solutions. By establishing a unique relationship with clients which focuses on a thorough understanding of the process and requirements, Trimax believes that not only is it necessary to be experts in controls, but also experts in the industries it serves. Those industries include fuel delivery, oil & gas, water/wastewater, food & beverage, and material handling.